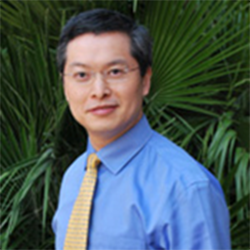 Dr. Li is a board certified, Harvard-trained anesthesiologist and Stanford-trained interventional Pain Medicine specialist. He has completed Anesthesiology residency from Massachusetts General Hospital and Harvard Medical School and fellowship in Multidisciplinary Pain Management at Stanford University School of Medicine. Prior to the specialty training, he graduated from Peking Union Medical College in Beijing, China, one of the most prestigious medical schools in China. Dr. Li received his Ph.D. degree from the University of Florida for his study in neuropharmacology of aging and metabolic disorders. Dr Li is very tech savvy and is always looking at IT to solve day to day issues and complex medical issues.